Mechanicsburg – The Pennsylvania Posse will tune up for next week’s invasion by the World of Outlaws sprint cars series at Williams Grove Speedway with a WoO tune up race this Friday night, May 8 at 7:30 pm. 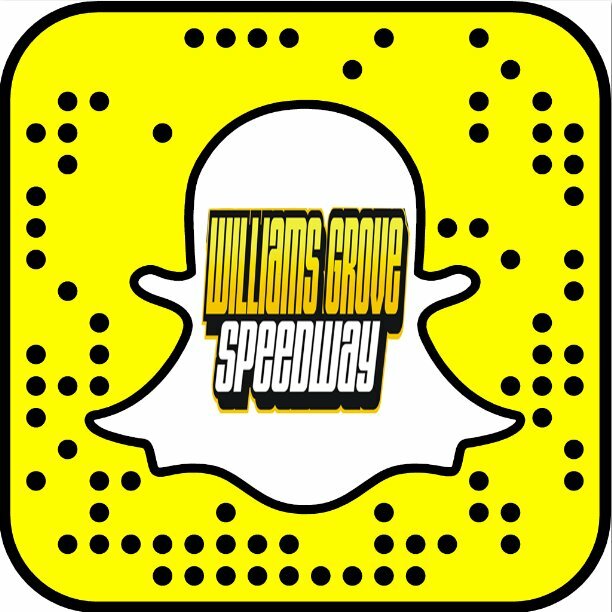 The weekly Lawrence Chevrolet Williams Grove sprint cars will race for $4,000 to win in the special event. The HJ Towing & Recovery 358 sprints are also on the racing program. The race will be the third leg of the 2015 Hoosier Diamond Series at the track in which Greg Hodnett currently leads Stevie Smith in the point standings. Hodnett also leads the season-long point standings in the chase for the Williams Grove track title. Adult general admission for the show is set at just $15 with youth ages 13 – 20 admitted for just $10 while ages 12 and under are always admitted for free at Williams Grove. The Williams Grove portion of the 50/50 drawing on May 8 will be donated to Big Brothers Big Sisters. Big Brothers Big Sisters provides children facing adversity throughout the area with a caring mentor. To get involved at the Big Brothers Big Sisters location nearest to you go to www.bbbsa.org and type in your zip code. Time trials will set the starting grids for this week’s outlaws tune up races. 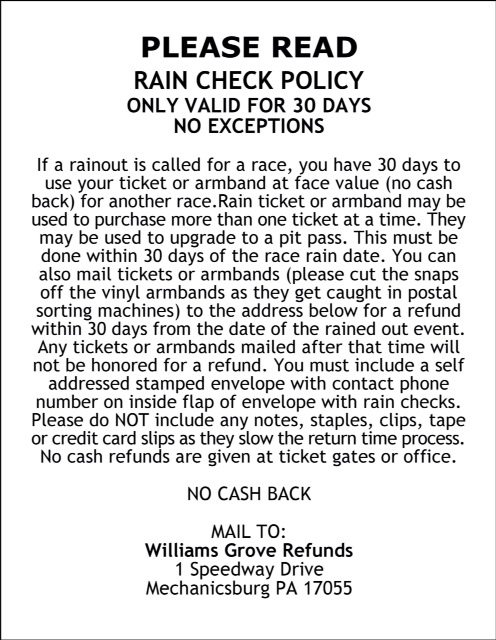 The following week, on Friday May 15 and Saturday, May 16, at 7:30 pm, Williams Grove Speedway will present the World of Outlaws sprint cars in two complete programs for the tour. The World of Outlaws and Pennsylvania Posse May match-up will be the first of three meetings of the circuits this season at Williams Grove as the outlaws return to the track on July 24 and 25 and again on October 1, 2 and 3 for the National Open. Aside from the Friday programs at the oval, the Williams Grove Speedway Saturday Series, offering racing action with the Super Sportsman, 358 late models and street stocks at 7 pm is currently underway. The series kicked off on May 2. Saturday Series adult admission is JUST $6. And kids ages 12 and under are always admitted free at Williams Grove Speedway!